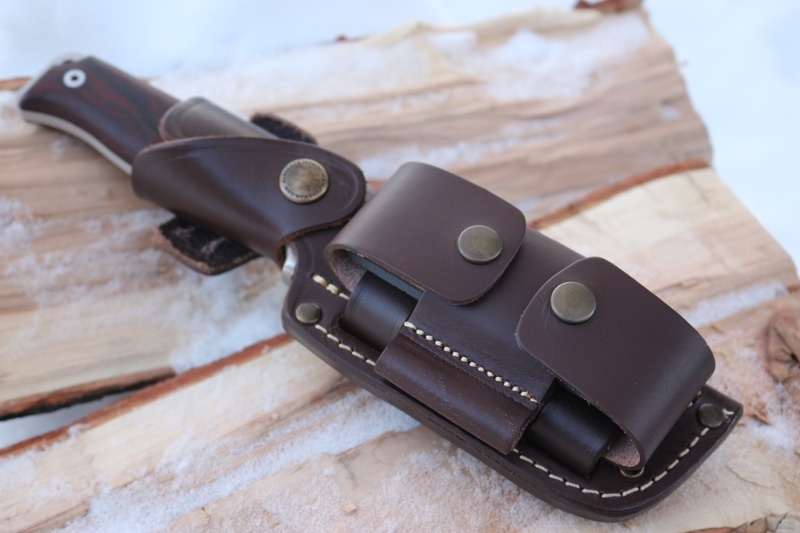 An additional extra leather pouch you can add on to the Cudeman MT5 sheath. It allows for carry of a sharpening stone (like a DC4) and a firesteel (Army size). Its accessible top or bottom and also can be worn alone on a belt. 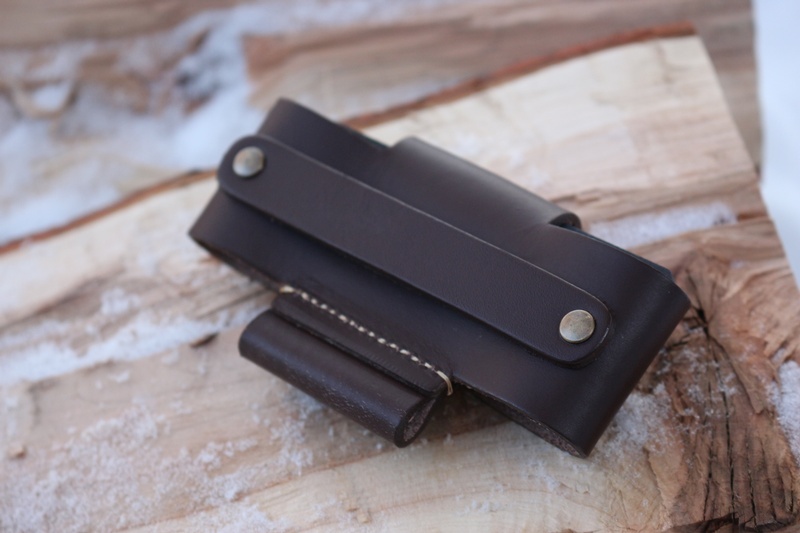 Fits easily on the the Cudeman MT5 sheath and will also fit..
Price is for the Pouch only, does not include sheath or stone! Video shows a suggestion of how to mount the pouch, their are other ways and orientations! 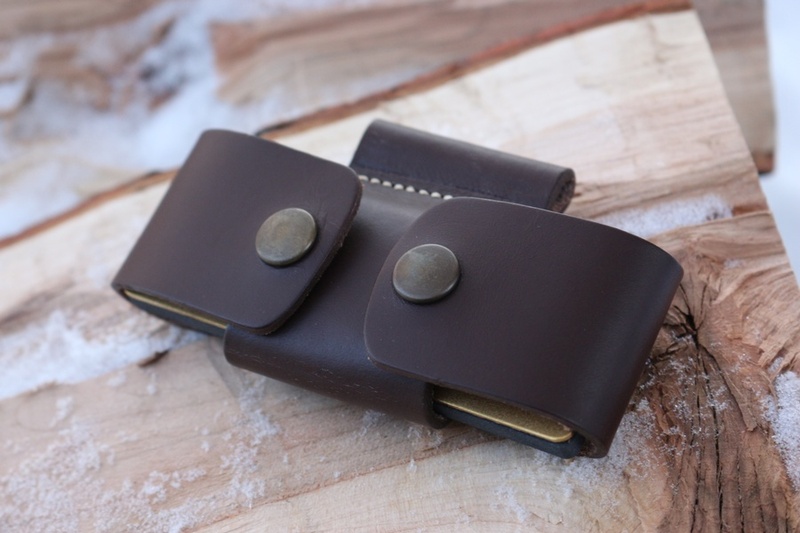 Purchase through PayPal by using the "Add To Cart" button above or use the form below to order the Cudeman sheath Pouch Brown or Black . Feel free to contact us if you have any questions about the Cudeman sheath Pouch Brown or Black .